For many years, it seemed like '80s singer Adam Ant had dropped off the face of the earth. With a just-announced North American tour that stops in 36 cities, including Austin (and Houston and Dallas), it appears Ant is making a bid to regain his pop cultural relevance. Ant's visit to Austin on July 26 at The Belmont will actually be a return trip, as he also played Emo's East in September 2012 to rave reviews. 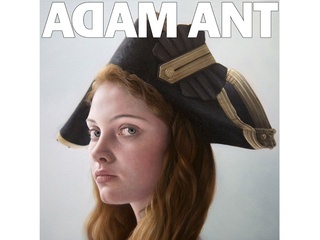 However, that was before he had officially released his latest album — the first in nearly two decades — which has the enigmatic title of Adam Ant Is the Blueblack Hussar in Marrying the Gunner's Daughter. The title is a partial reference to the character Ant created for his performances, a military figure he conjured by painting a signature white stripe across his face. Before last year's 16-date mini-tour, Ant hadn't toured in the United States since the 1990s. The upcoming tour, with his new band The Good, The Mad & The Lovely Posse, will mark his largest tour on this side of the pond in almost 20 years. Even though he's touring in support of his new album, fans of his early work with Adam and the Ants needn't fret. He promises to play all of his big hits, including "Goody Two Shoes," "Stand and Deliver" and "Prince Charming."